We have a huge selection of very high quality Japanese Koi available, all of which are handpicked by ourselves after landing and being quarantined. 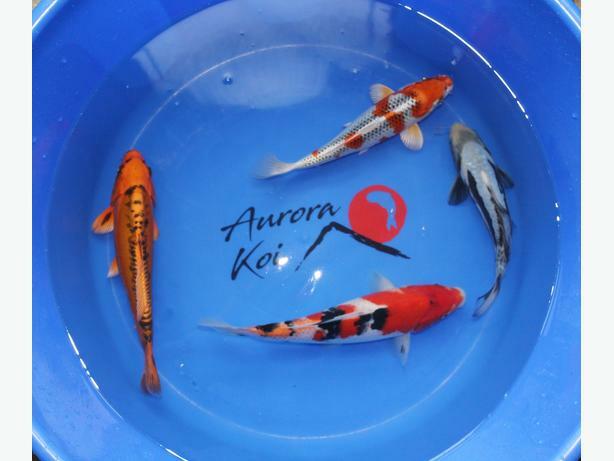 These Koi come from some of Japan's most respected breeders including; Oofuchi, Hirasawa, Hiroi, Marusaka, Kansuke and Sakazume amongst others. We have all sizes covered from 12cm upto 50cm and a wide range of prices to suit all budgets from £25 upto £395. Looking for something in particular? Let us know, and if we don't have something in stock we will do our utmost to source it for you.